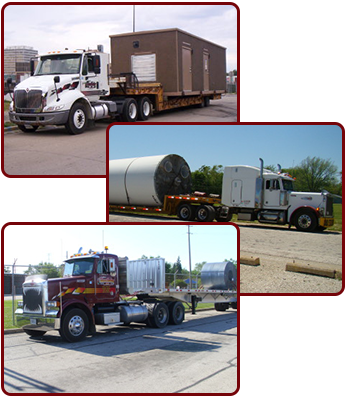 Shipping and Transportation Service | Valente Trucking Inc.
Valente Trucking Inc. started in 1969, aiming to become the go-to shipping and transportation service in Calumet Park, Illinois, and the Chicago area. We have since established ourselves as the most reliable and well-equipped company to trust with your shipments. We knew from the start that quality shipping services would require two major assets: seasoned drivers and superior equipment. Our drivers all have a proven track record for safety and do what it takes to ensure each shipment arrives as ordered. Our fleet is second to none when it comes to versatility and reliability. Trust is another important factor in the trucking industry. As a client, you must be certain that your goods will arrive at their destination on time and in outstanding condition. You can expect our representatives to be honest and transparent with you at all times regarding what we can accomplish, as we never promise more than we can deliver. Valente Trucking, Inc.: A local and regional trucking company and LTL flatbed carrier. We have tri-axle chassis’ for heavy loads! We will also do permitted loads, so give our new service a try I'm sure you will be satisfied. Commodities: Steel products, bars, coils, pipe, plate, tubing, structural steel, aluminum products, lumber, forms, brick, concrete blocks and concrete products, equipment, forklifts, machinery, and machinery parts. These are just some of the items that we are capable of hauling. LTL: With straight trucks local or tractor-trailers regional, with the commodities we transport. Permitted loads: Over-weight, over-height, over-length and over-width. Specialized Equipment: Lowboys, RGN's (Removable Goose Neck), drop-decks, step decks, extendable step decks, step decks with beaver tails, Conestoga tarping systems, expandable flatbeds, and vans trailers. Expedited Service: For that customer that needs their material now we offer rapid freight transportation. Brokerage: We are capable of making your pick-ups or deliveries that are out of our niche area using other carriers. Call for a quote regardless of shipping location, destination, or commodity.